Its rare to come across individuals working the family trade these days, as an assortment of new age employment opportunities are popping up daily. Farming, bread making, and sewing clothes make up a fraction of trades that western societies passed down to younger generations. As time has changed, the market place has grown, and many trades have gradually become outdated. Needless to say, the industry of building remains one of the oldest trades to date that is still heavily sought after. 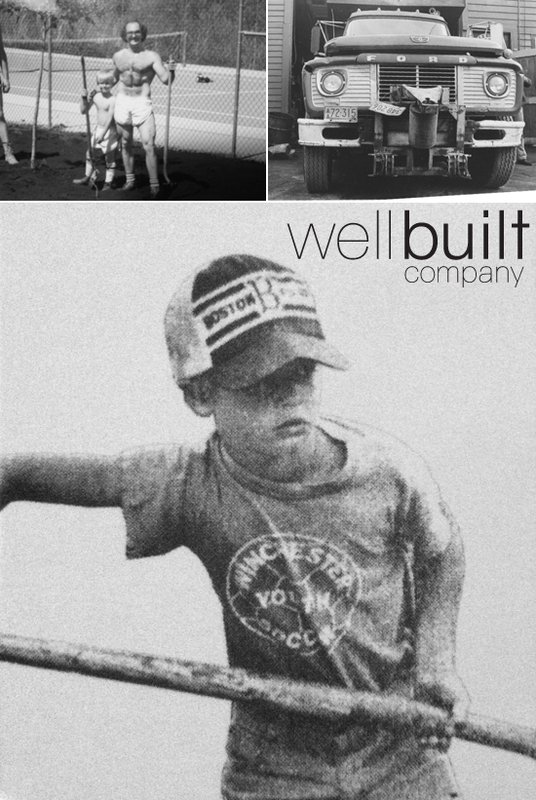 With this, Wellbuilt's Todd Rotondi is a third generation builder. Todd grew up in Massachusetts swinging a hammer, digging trenches, and operating heavy equipment in elementary school. Todd's dad and grandfather played an integral role in fostering Todd's extensive knowledge of the construction industry. Here's a few snapshots of the lad hard at work digging the foundation which would ultimately lead to Wellbuilt Company.